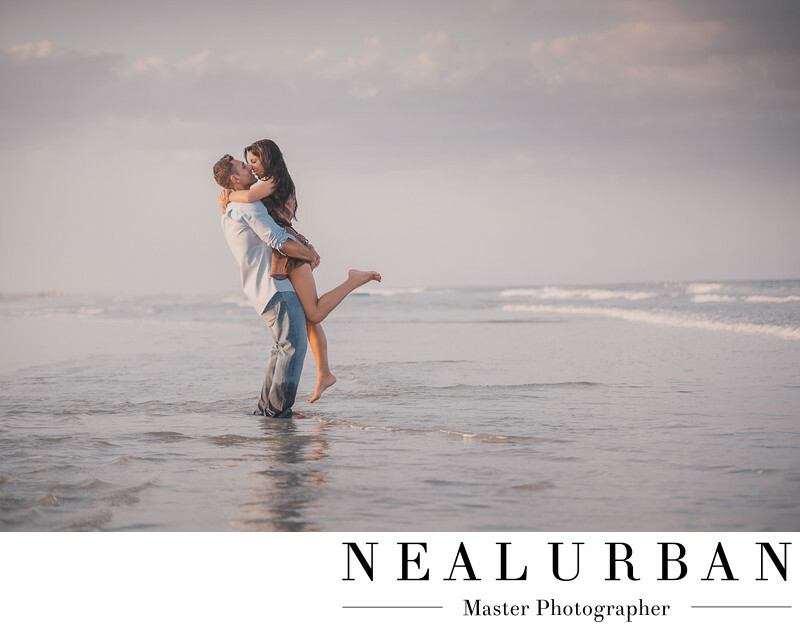 Rick and Deanna flew us to Florida to photograph their engagement session! They had some great locations in mind and we were so excited about the ideas. They wanted to go to St. Augustine Lighthouse for photos. We had always wanted to go there! Then later that night we went into the town of St. Augustine to shoot around the town. The buildings were amazing! We wished we had more time at this destination. Then the next day, we did photos on the beach! This part of shoot was a lot of fun! It was really playful! We did a lot of action style shots for this too. This image was great! We wanted Rick to pick up Deanna. It was no problem for him! He could hold her for a really long time too! Once in the air, we had Deanna kick up her leg! We got to the beach right before sunset. We thought it was going to be really busy. There were hardly any people there. We were shocked. I guess people who live near the beach do not need to go there all of the time! Rick and Deanna moved back to Buffalo. They had their wedding at Salvatore's Italian Gardens. We did completely different style photos for that! They got so many amazing photos! Location: St. Augustine, Florida United States.